We woke to clear blue skies so after our hotel breakfast we took the metro to the Seodaemun Prison History Hall near the Dongnimmun metro station, exit 5. 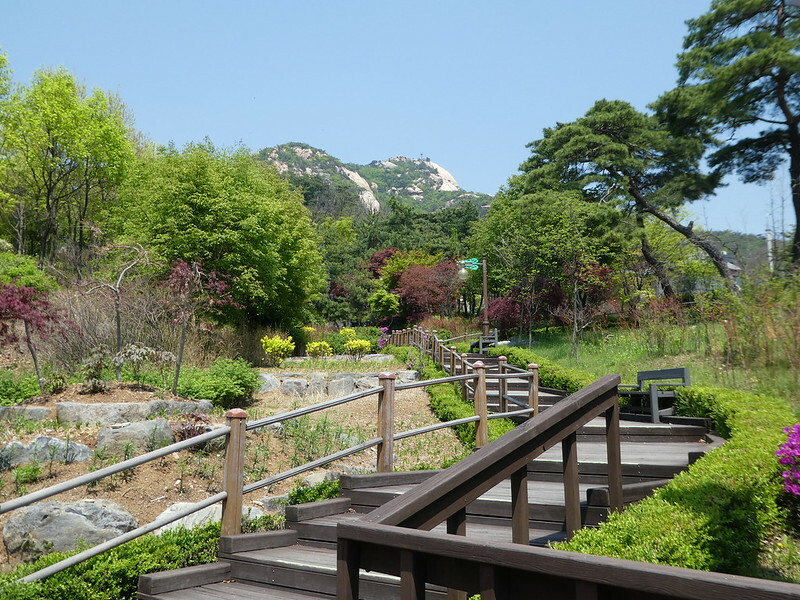 After leaving the station it was just a short walk through Independence Park to the museum entrance, admission is 3,000 Won (£2.00). 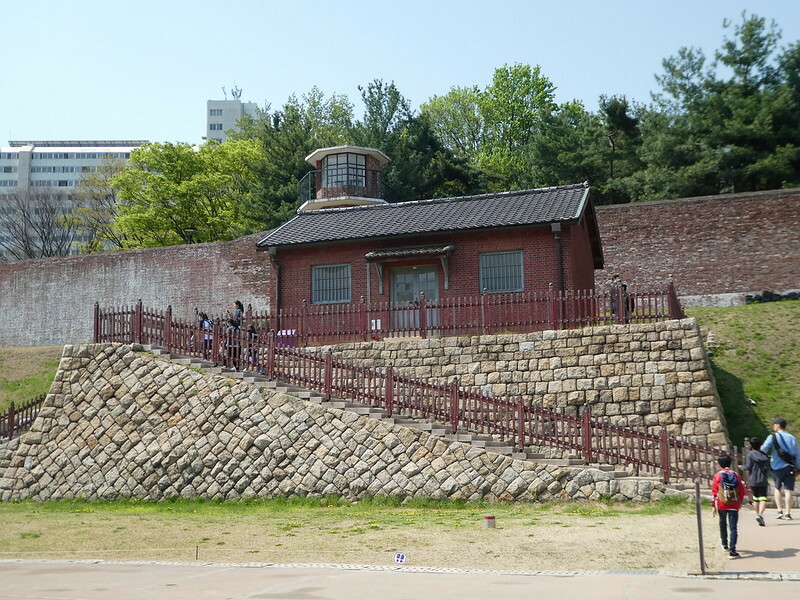 This former prison stands as a symbol of the bravery of the Korean independence activists and as a grim reminder of the cruelties committed by colonial Japanese forces during the occupation of Korea. Half of the original red brick prison buildings have been preserved including the entrance gate, the wooden execution house, two watchtowers, the prison walls and the interrogation cells. There were few people around when we started our self guided tour which was very interesting but harrowing to learn of the atrocities suffered by the prisoners. 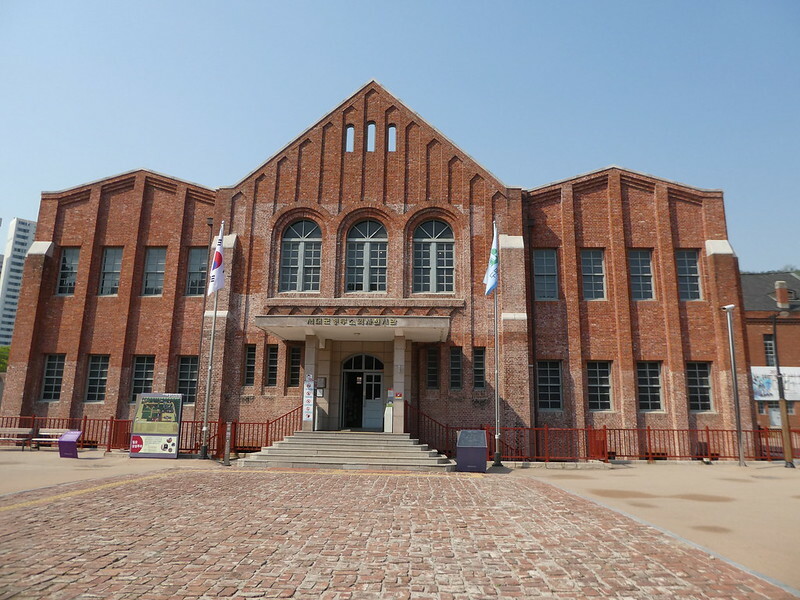 The first exhibition hall told the story of prison life from when the prison was constructed in 1907 for use by the Japanese to hold Korean independence activists. 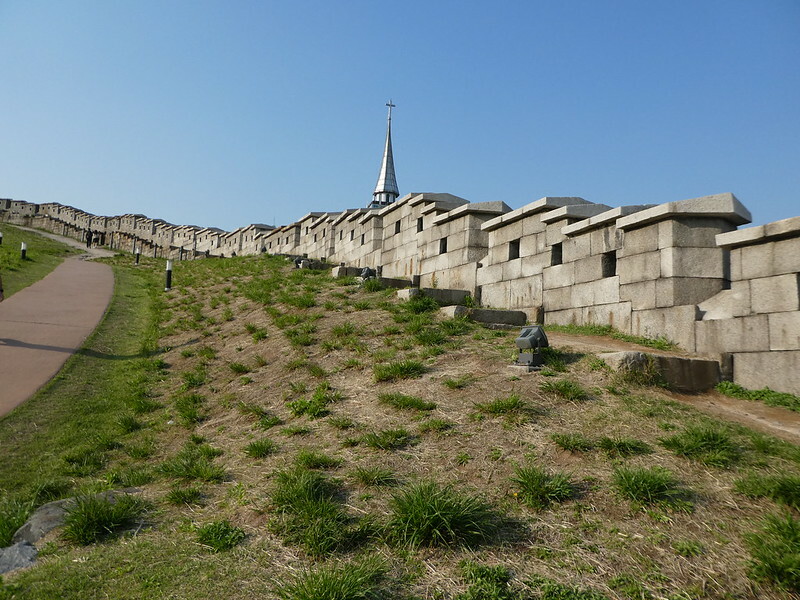 It had been built to hold 500 prisoners but at the height of the anti-Japanese protests in 1919 this rose to 3,500. 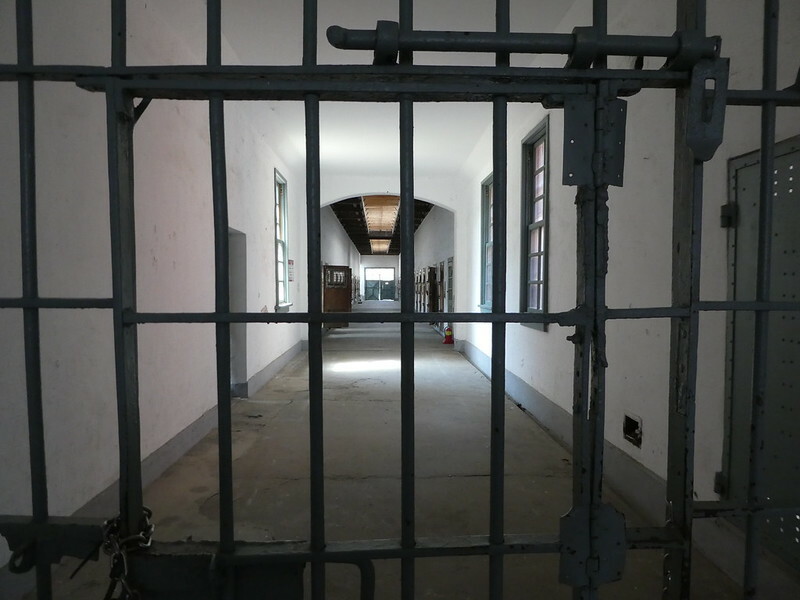 The overcrowding led to the spread of contagious diseases and a lack of proper sanitation, a shortage of food, torture and regular beatings led to many prisoners dying in custody. 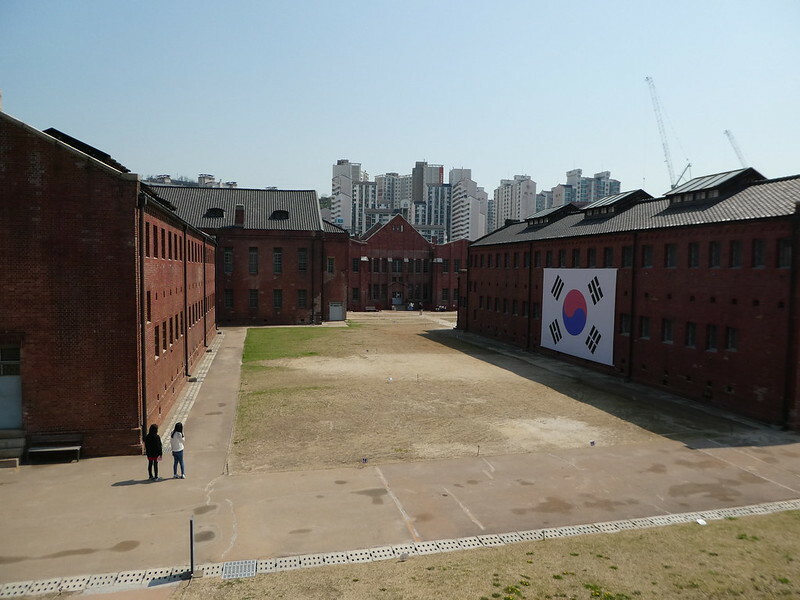 At the end of the Japanese occupation in 1945 the prison continued to be used by South Korea until it finally closed its doors in 1987. The prison complex was converted into the Prison History Hall in 1992. 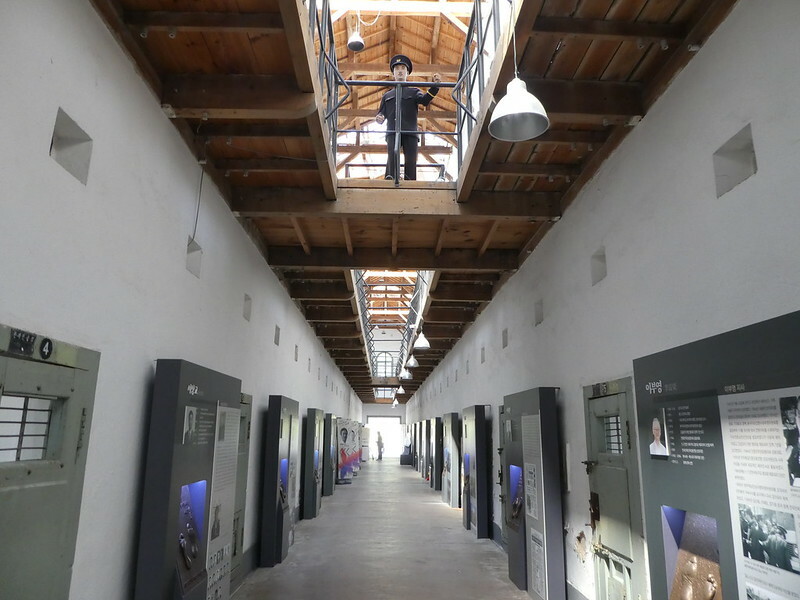 We viewed two of the cell blocks, walked through the exercise yard, prison factory and the gruelling execution house. It was just as well we had arrived early as several coach loads of school children appeared later making it very busy. I would definitely recommend exploring the prison but suggest visiting in good weather as buildings are spread out across quite a large site. Leaving the prison we strolled back through Independence Park to the metro station and took a train towards Bukhansan National Park. The nearest station is Bulgwang, Exit 2. where we stopped for our morning coffees before setting off to find the start of a walking trail. This was troublesome to find as we had started followed signs on the road but at some point the road must have been re-laid causing us to head off in the wrong direction. We eventually found the Dulle-Gil Trail, Section 8, 5.2 km which began with a lengthy flight of steps. Our chosen trail was labelled moderate but I would grade it more strenuous than that. The trail followed the contour of the hillside resulting in us constantly gaining and losing height on steep slopes or flights of steps. Apart from the excessive number of steps, the trail was very pleasant and offered good views. Picnic tables and information boards (in Korean only) were located at various points but as there are no refreshment kiosks I suggest taking bottles of water. Finishing the trail, we headed to the Dongdaemun Design Plaza, a cultural hub where exhibitions, fashion shows and conferences take place. 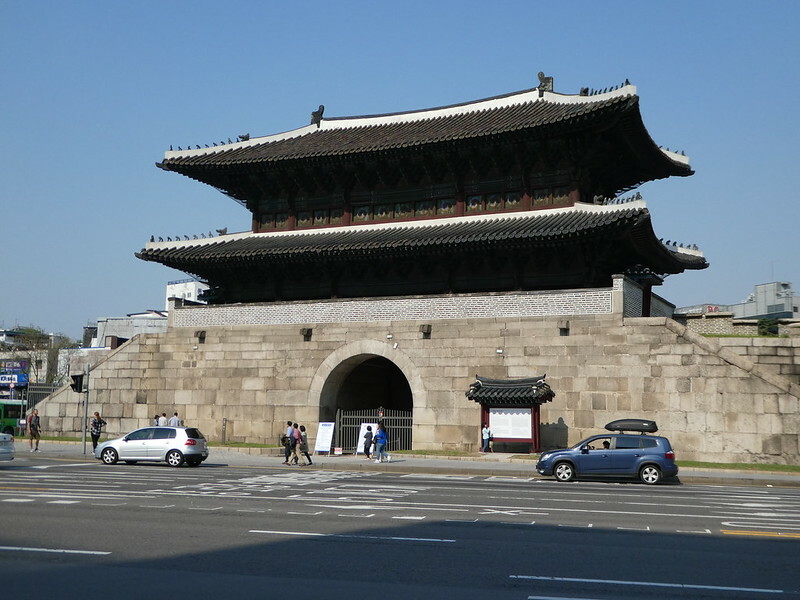 From there it was only a short walk to the Dongdaemun City Gate which looked out of place in the middle of a large road junction. 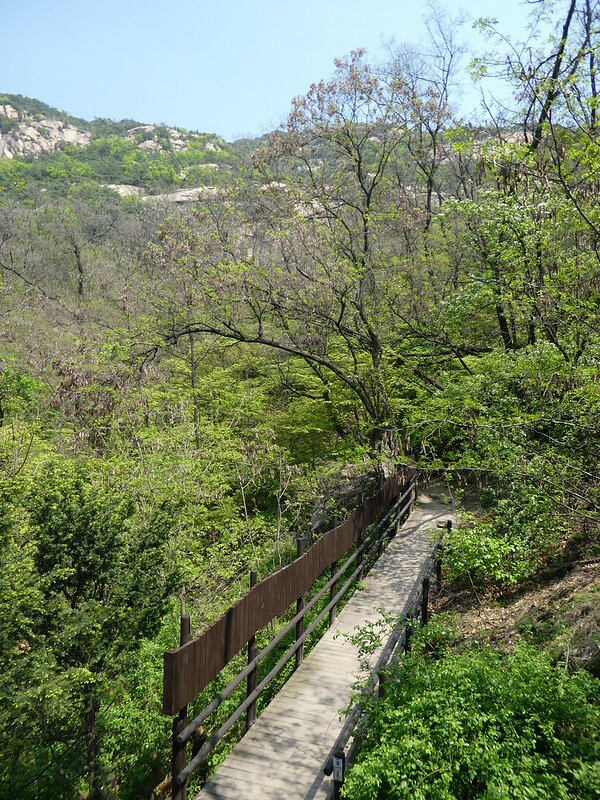 We walked along a short distance of the city wall where we found the Seoul City Wall museum. This modern museum offered free admission and explored the construction and reasons for building the wall. After such a busy day, it was 6.30 p.m. by the time we arrived back at the hotel so we had a little rest before enjoying dinner at a restaurant in Myeongdong. Tables were equipped with gas burners so that food could be cooked at the table. 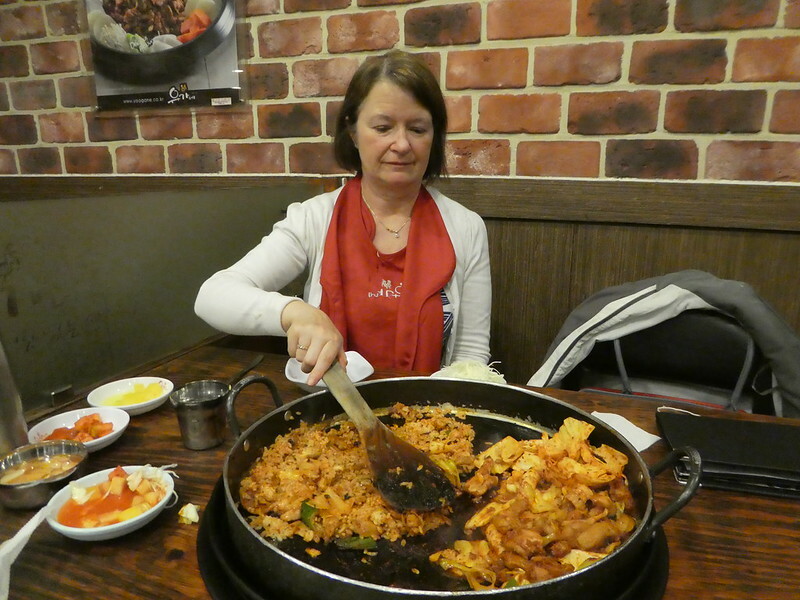 We were given aprons to wear and a large wooden spoon but these weren’t really necessary as the waiting staff prepared our Chicken Galbi which tasted delicious. We walked off our dinner with a short stroll through the shops then returned to the hotel exhausted. Thanks Jason taking the time to catch up on my blog. I’ve really enjoyed following your US trip on Instagram and both you and Hayleigh look so happy together! Looking forward to your posts when you get time to sit down and write! Thank you for taking an interest in my posts on South Korea. Really very nice post ! The prison hall and national park walk were both very interesting. Thank you for taking the time to comment. It was a busy day but we thoroughly enjoyed it and we had worked up an appetite and managed to eat all that Chicken Galbi! I have lost count of the number of times I visited Korea but in all that time I never visited the prison. That was interesting and probably parallels the horrors of those who were caught in the occupation of south east Asia and the Pacific during WWII. I love the way North Asia cares for their parks and walkways. so beautifully cared for. The Prison Hall was very interesting and all the parks and pathways were maintained to very high standards Ian. Lovely to see a photo of you M.
Thanks Sue, it was at the end of a busy but interesting day. Wow you visited a lot of places in one day. A great day trip planned to make the most of the day. Glad the weather changed and you conqured the National Trail. Thank you, we had an absolutely lovely day combining the Prison Hall with the natural environment. I really love Korea! This was so interesting to read! I had no idea about that part of Korea’s history. And the scenery there looks beautiful! Thanks Lucy for taking such an interest in my post. 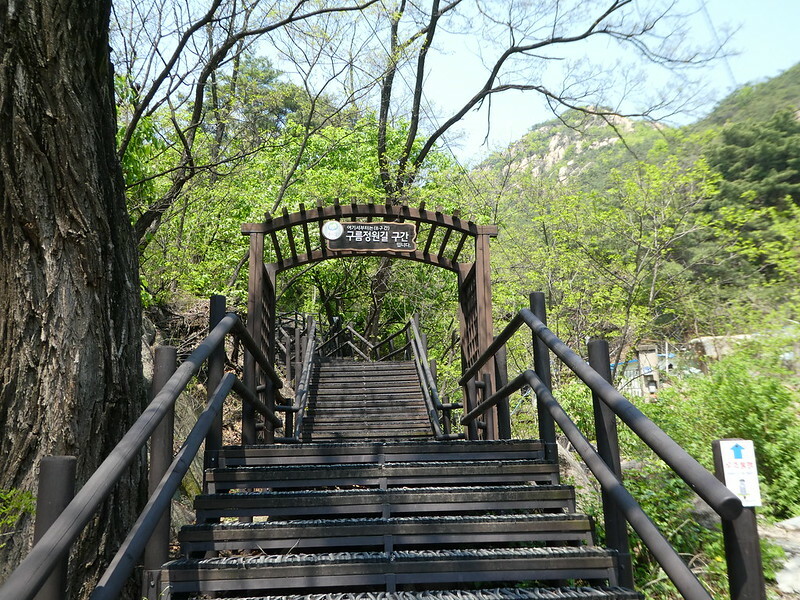 The scenery around Seoul is really beautiful and the visit to the prison hall was also interesting. Thanks Jo, yes we had a busy day in Seoul which was very enjoyable. Thank you so much for your kind words. I wish you well with your own blog and will of course take a look. I should have known of this place when I was in Seoul. Thanks for sharing Marion! Perhaps you might get a chance to visit sometime in the future, the prison was certainly very interesting. A terrific overview! Very well done, both photos and prose-thank you! Thank you for your kind words. It’s great to receive positive feedback from my posts. I’m pleased you are finding my posts on South Korea interesting. We are glad that we had an opportunity to visit the prison. I love your posts on Seoul. I really want to visit Korea. Is the water and food safe there? I only ask because I have a toddler and have to worry about sickness when travelling and have experienced the worse of it when travelling in South East Asia. Thank you Vanessa for your kind words, it’s so nice to read that you are enjoying my posts on Seoul. You don’t need to have any worries about hygiene and food and water in Korea. Everything is very safe and of a high standard, even the street food which we had plenty of. Do try and visit soon, you will love Korea!